Dr. Wei Wei is an Assistant Professor at the Institute for Systems Biology. He also has the positions of Adjunct Assistant Professor at the Department of Molecular and Medical Pharmacology and member of Jonsson Comprehensive Cancer Center at UCLA. He received his B.S. at Tsinghua University (Beijing), M.S. at UC San Diego. He obtained his Ph.D. at California Institute of Technology in 2014. 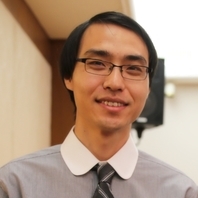 Before joining ISB, Wei was an Assistant Professor at UCLA until mid-2018.